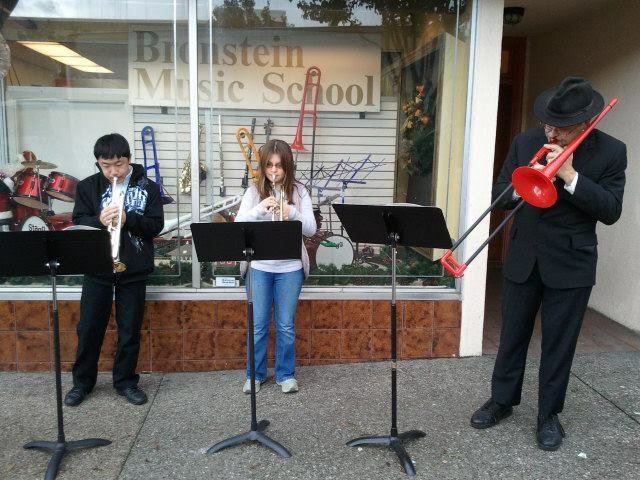 Those walking on Grand Avenue today were treated to some cheerful holiday tunes compliments of two students of Bronstein Music along with their instructor Steve Bell. By the way, that cool red trombone is an official Pbone. Great to see our local businesses doing all they can to showcase the great things our youth do in our community today. ← Welcome to EVERYTHING SOUTH CITY!